The name Marie Kondo has sparked feelings of joy and tidiness among households everywhere. While several have already binged watched a complete season of her show, many are left wanting more. Home organization is on everyone’s mind but it’s not always affordable. That’s why we’re here to show you some kitchen organization hacks that are amazingly cheap. Do you wish your kitchen was cleaner? Do you want a better way to store your small appliances? Then you are in luck. 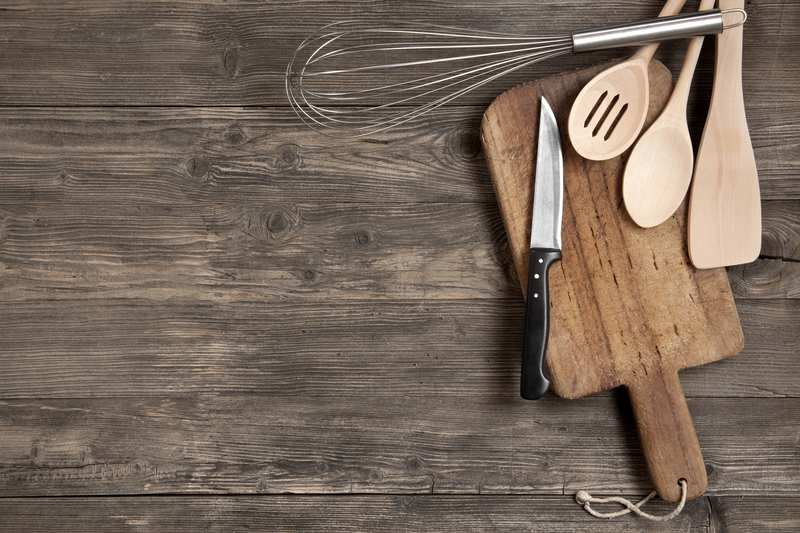 Here are 4 ways to improve the tidiness of your kitchen. It’s always nice to have a specialty gadget such as an apple corer or egg slicer. However, it’s not always nice to store them. A common complaint in regards to kitchen organization stems from the overabundance of utensils. Unfortunately, thinning out your utensil drawer is one of the harder kitchen organization hacks. People are usually unsure of what to toss. In most cases, if the job can be done by a regular knife, fork, or spoon, you are safe to discard. Generally speaking, Lazy Susans cost less than spice racks. When organizing your kitchen spices, it’s best to consider these rotating trays. They are just as durable, yet significantly cheaper; making them perfect for our list of kitchen organization hacks. With most spice racks, you are locked into the amount the rack is meant to hold. With a rotating tray system, you can vary the number of items. It’s perfect if your inventory fluctuates. Furthermore, Lazy Susan trays are easier to clean. Since the trays are mostly flat, without grooves or holes, they wipe down easily. Unless you are a chef or baker, small appliances should be stored inside of cabinets. Keeping counter tops clean and clutter-free will help your kitchen have a better aesthetic. Additionally, if you have not used a particular appliance in more than 6 months, it is time to part with it. Some of the most donated small kitchen appliances include waffle makers, ice cream makers, and dedicated smoothie machines. Make sure to check out this article from The Spruce about organizing appliances. A clean kitchen table sets the tone. Avoid making your kitchen table the catch-all for the day’s clutter. Put mail where it belongs. Pick up your kid’s homework once they are done. Do all of the things you can to make your table part of a peaceful dining experience. Additionally, to maintain the fresh feel, attempt to keep place mats and decor to a minimum as well. Purchasing seasonal tableware may seem fun, but it’s expensive and storing them causes clutter. If you must have a decorative piece on the table, consider fresh seasonal flowers. They have more eye-appeal and do not require storage. After reading our list of kitchen organization hacks, we hope that you will feel inspired to reorganize and declutter. Using the tips above, easy kitchen organization is just a few steps away.